I love the soaps! They provide a very silky but rich lather and all have a very light and delicious scent to them. 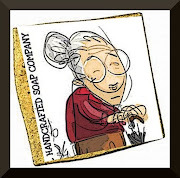 I have had no problems with dryness or itching since using your soaps, and I will definitely be ordering more. Thank you so much! !